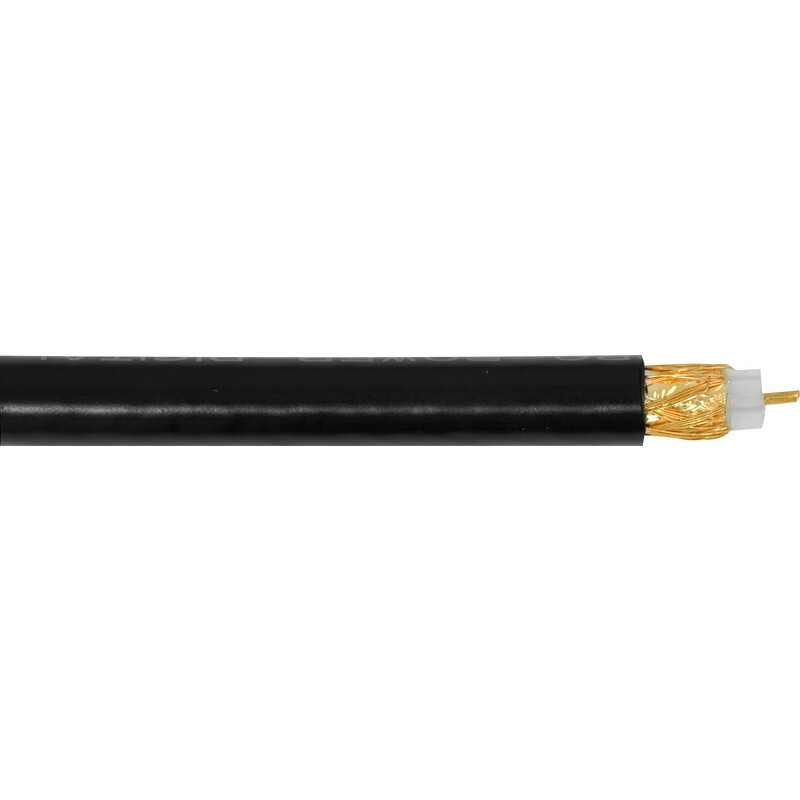 TV / Satellite Cable CU/CU (CT100) Black 25m Coil is rated 4.8 out of 5 by 12. Rated 5 out of 5 by Don 74 from Heavyweight cable Done the job well, great TV picture. On the down side f type coupling difficult to fit, but achievable. Rated 5 out of 5 by Critter379 from Virgin Media Cable Replacement I used this to replace several runs of Virgin Media cable after decorating & moving VM access points to different areas. There's not much info to be found regarding which cable to use. This is good quality cable & is suitable for VM just make sure your plugs are decent & are fitted properly. I used: F-Plug CU/CU CT100 Cable Product code: 56253 which are solid connectors & are matched for this diameter cable. Rated 5 out of 5 by dont know from plenty of cable good quality feel and ery easy to work with. excellent cable replacement. Rated 5 out of 5 by Bobbydog1 from High quality signal cable This is good quality cable for aerial installation. It may be more expensive than aluminium core and screen cable but will last longer where exposure to the weather is. Signal appears better than aluminium core cable over long distances. Rated 4 out of 5 by jfhm from Looks Fine Cant comment yet as not been used but looks ok. Good price. Rated 5 out of 5 by Keith N from Good quality and good value A quality, tough product at a reasonable price.